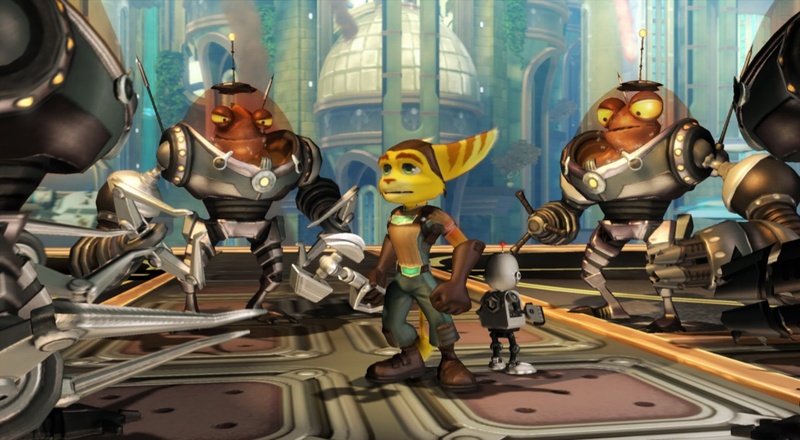 Hey everyone I’m FergaTroid and welcome to this review of ratchet & clank: tools of destruction, is this a good game or a bad game? Let’s find out! 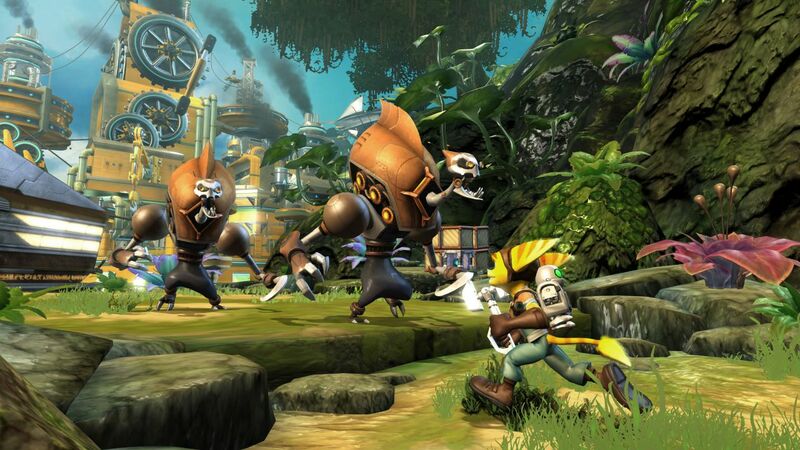 Ratchet & clank: tools of destruction is a platformer video game developed by Insomniac Games and published by Sony Computer Entertainment for the PlayStation 3. The game was released on October 23, 2007 in North America and on November 9, 2007 in Europe. The game has got a bit of an identity crisis in this game with so many different elements in the game. This prevents the game to reach the same heights as the previous games. But it’s still a very engaging game. It’s impossible to ignore the games great visuals. Tools of destruction is probably one of the most vibrant and colourful games you’ve ever scene. A lot of this comes down to the lighting which makes everything look more dynamic. With all the sweeping vistas, tons of characters on screen, particle effects, fluids, explosions the game definitely broke new grounds in terms of tech. With all this on screen you would expect an early ps3 like this to slow down but it doesn’t which is a testament to Insomniac’s polish and hard work to make this game possible. The story is amazing and really sets up the future games in this series. See that was a pun because the game was called ‘future’ in North America. But all puns aside this has one of the most interesting and well written stories in the series. The villain despite being tiny in size is a lot of the time genuinely scary. The story also hits some strong emotional beats with the player. There is a segment in the game which I’ll recommend you take your favourite recreational drug before you play it. 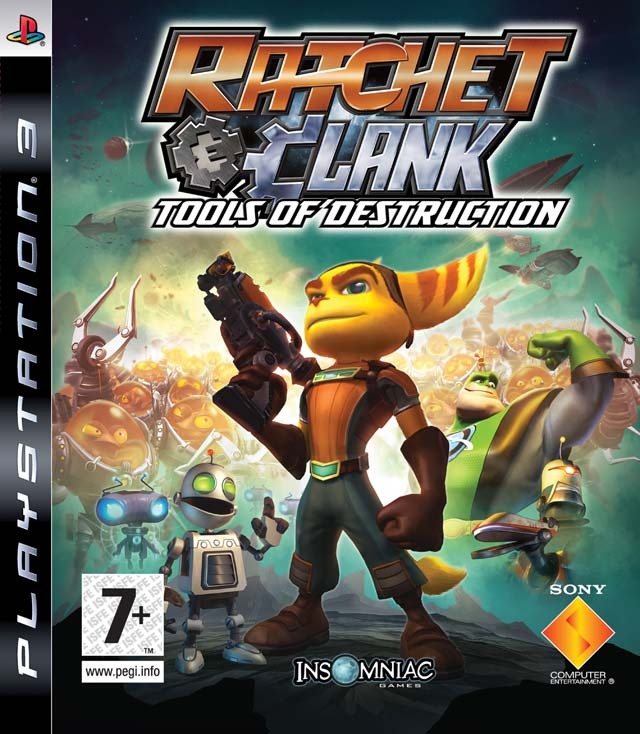 The segment follows ratchet when he’s jumping around at the bottom of a space station after you’ve been shot out of a space cannon. I guarantee you’ll trip your balls off. 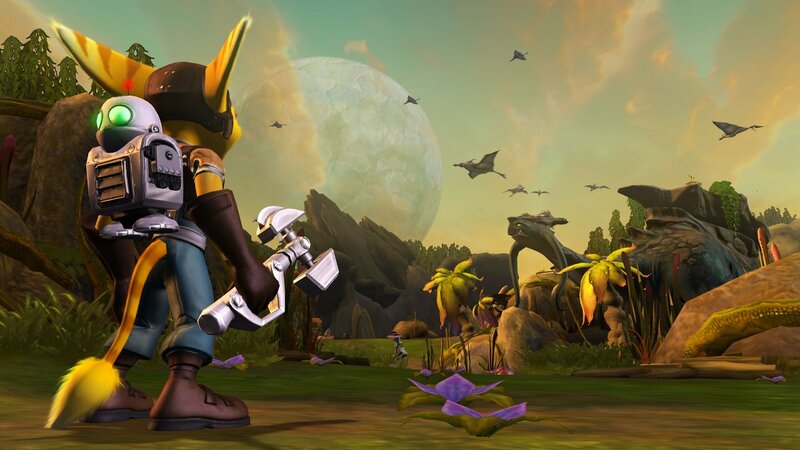 Tools of Destruction retains much of the basic gameplay found in previous Ratchet & Clank games, the game being primarily a shooter-platformer. 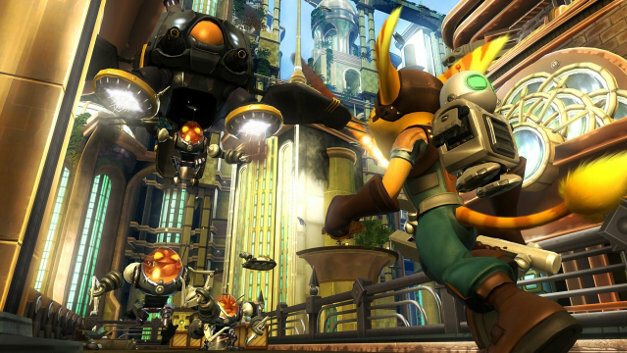 The player controls Ratchet most of the time, with some sections using Clank, as they explore various worlds to complete missions, using Ratchet’s wrench and other exotic weapons gained during the course of the game. 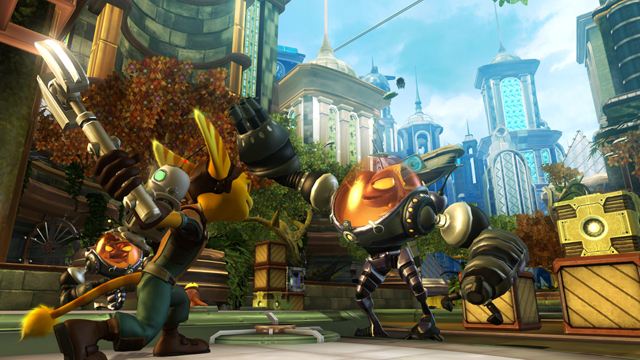 At times, Ratchet may enter free-fall, or with an upgrade to Clank, will be able to fly; during these periods, the player uses the tilt functionality of the SIXAXIS controller to maneuverer Ratchet. The tilt-sensing abilities of the SIXAXIS are also used to control some weapons and gadgets such as the tornado launcher. 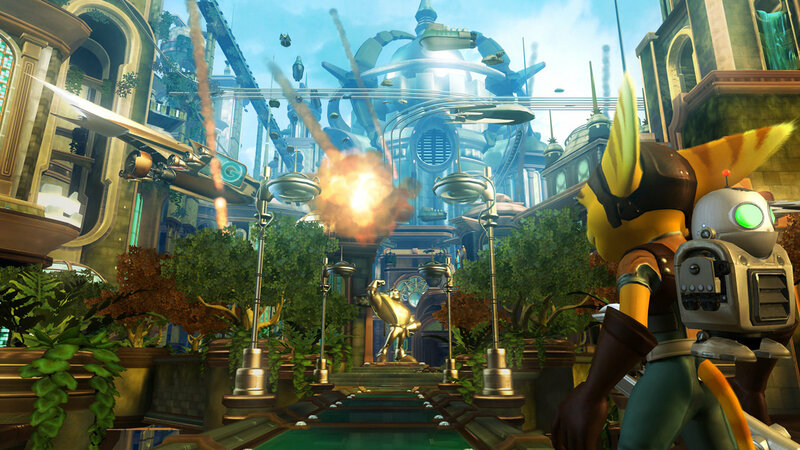 Ratchet & clank: tools of destruction is an excellent game with good story and amazing visuals. 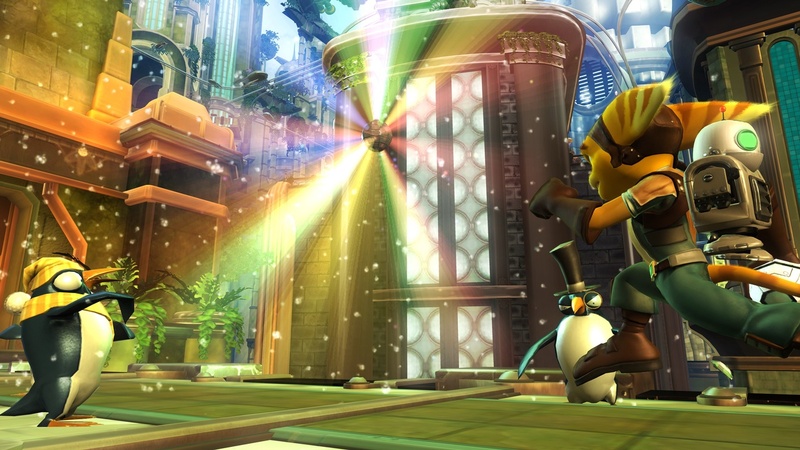 The level design is excellent and the game is well polished. 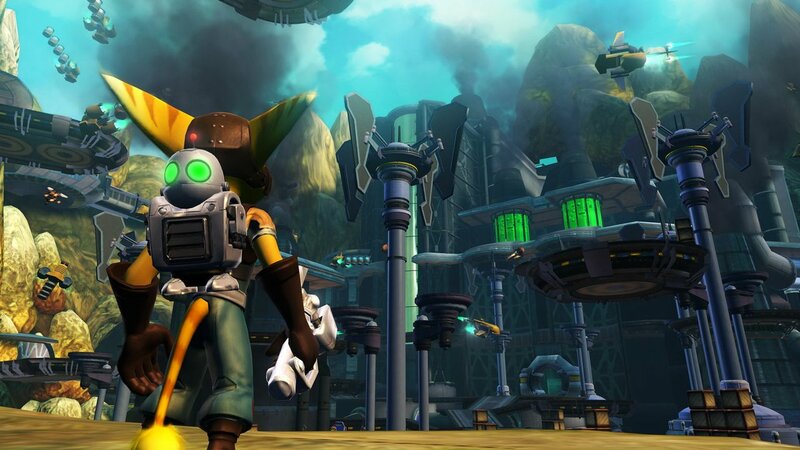 Ratchet & clank tools of destruction gets 4 stars out of five.